A fantastic-sounding alternative, seemingly out of the Hollywood blockbuster Waterworld, is underway in the South Pacific. 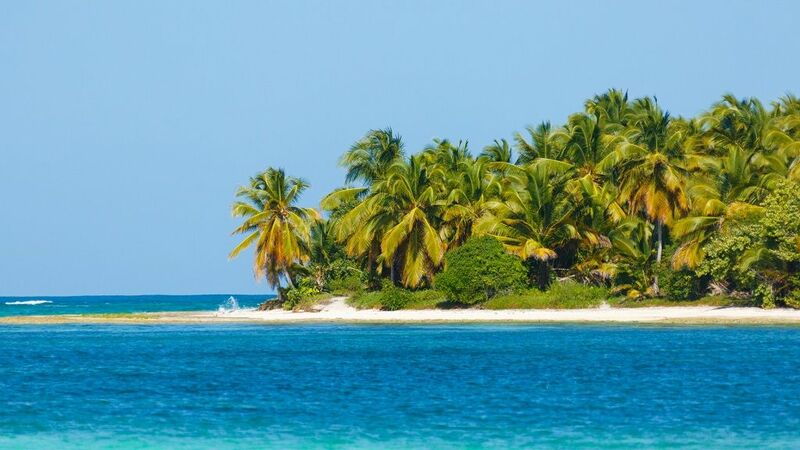 An ex-political scientist – who is now a self-proclaimed ”seavangelesse”, meaning she supports living off the grid – recently met with CNBC to discuss a project she is part of, where they intended to construct a floating island in French Polynesia. The island will serve as a safe haven of sorts for those disillusioned by excessive government regulation, as it will be self-governing society. Moreover, the island will eventually feature 300 homes, and it will use a cryptocurrency. If the project is successful, it could potentially open the door to many similar projects – especially as global warming is projected to massively increase the amount of ”climate refugees”. The project, dubbed the Floating Island Project, is headed by a mixed group of investors, philanthropists, and academics. A researcher for the initiative, Nathalie Mezza-Garcia, was recently interviewed by CNBC where she spoke at great lengths regarding the project’s short and long-term goals. The island will try different concepts and ideas which, if successful, could eventually be rolled out on a grander scale. Mezza-Garcia revealed that the project ultimately aims to spawn hundreds of autonomous islands like it, which could serve as safe havens for those whose homes have been rendered inaccessible due to climate change. The pilot project will take place in French Polynesia, which is fitting since climate change and rising sea levels are issues that will severely impact the island nations of the South Pacific. Despite its potential applications for climate change refugees, however, this first floating island will primarily function as a hub for businesses that have grown weary of government regulation. Since the island will be self-governing, it might very well attract companies from all over the world who seek a more business-friendly regulatory environment. Mezza-Garcia described the Floating Island Project as ”the perfect incubator” since it will fall outside of shifting geopolitical influences, policies and trade issues – meaning it will be free from destabilizing influences. Furthermore, the autonomous governments that spring up as part of the Floating Island Project will only act as ”service providers”, and the sea-based communities would take it upon themselves to self-govern. Moreover, the project funded by a number of donations through the ”Seasteading Institue”, as well and Blue Frontiers – which trades the ”Varyon” cryptocurrency. Varyon is intended to be used on the floating islands, and Blue Frontiers is currently selling the cryptocurrency with the hopes of funding the Floating Island Project. The first island is estimated to cost $50M and is scheduled to be completed in 2022 – if all goes according to plan. Previous Post Previous Post More Cryptocurrency Friendly Regulations in South Korea? Next Post Next Post Coinbase Becoming a Bank?